In the battle of budget plated bullets, we go over why we give the slight edge to Xtreme (Extreme) bullets vs Berry’s bullets. Results are our opinion based on reloading 9mm in race guns. 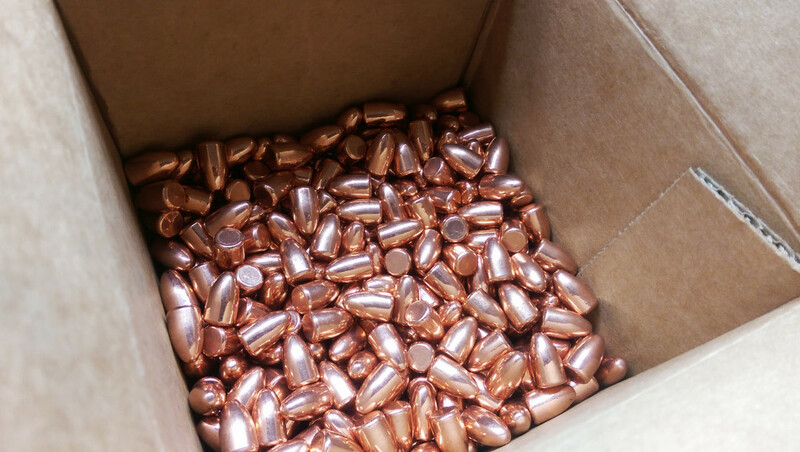 Plated bullets are when the entire bullet is encapsulated with copper so there’s no exposed lead which reduces lead exposure during shooting. Here’s a refresher on Calibers & Types of Bullets. Well known name for affordable bullets. 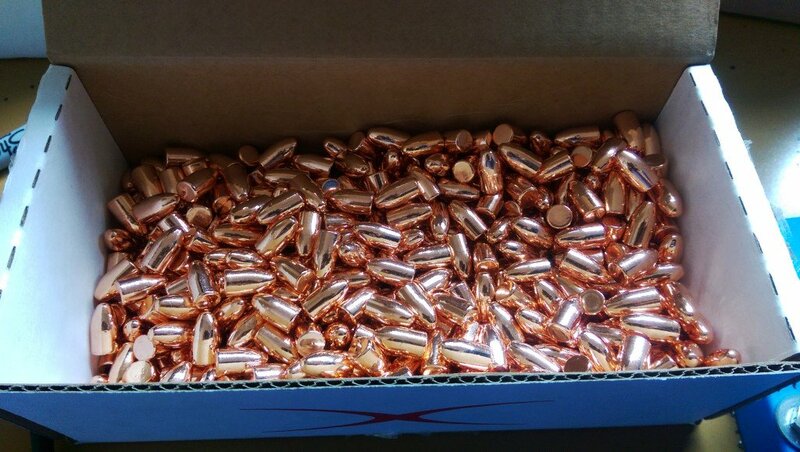 We first started with 1,000 124 gr RN (round nose) 9mm bullets from Berry’s as we liked factory 124 gr compared to 115 gr. They looked shiny, reloaded fine, and shot great. The overall cost was $93.45 (9.345 cents each) utilizing free shipping with orders over $75. Recommended by a fellow competitor for slightly cheaper prices. We tried out their 147 gr RN (round nose) 9mm bullets. They also were very shiny, reloaded fine, and shot great. In fact, we were converted to the 147 gr 9mm weight due to the more “push”-like recoil. Price was $43.75 per 500 and $5 flat shipping. We bought 1,000 for 9.25 cent each. It really just boils down to price. 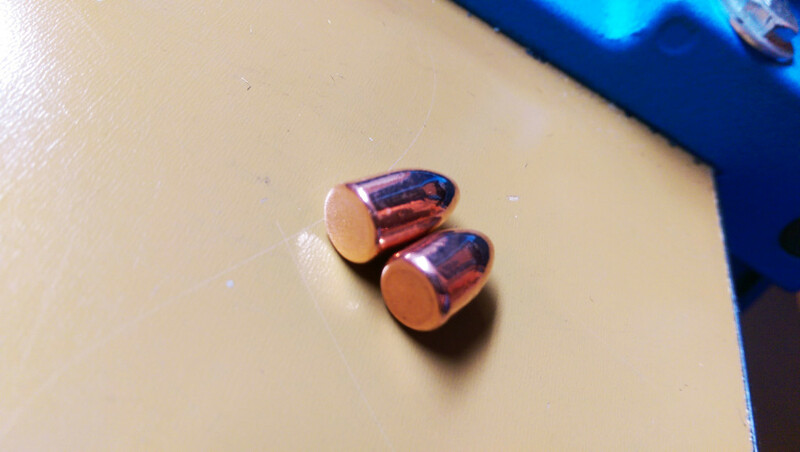 Keep in mind that 147 gr are more expensive than 124 gr bullets simply because of the extra materials. If we bring it all to 124 gr, Xtreme bullets cost $39.90 per 500, so the per bullet cost would be 8.48 cents for 1,000 rounds including shipping. 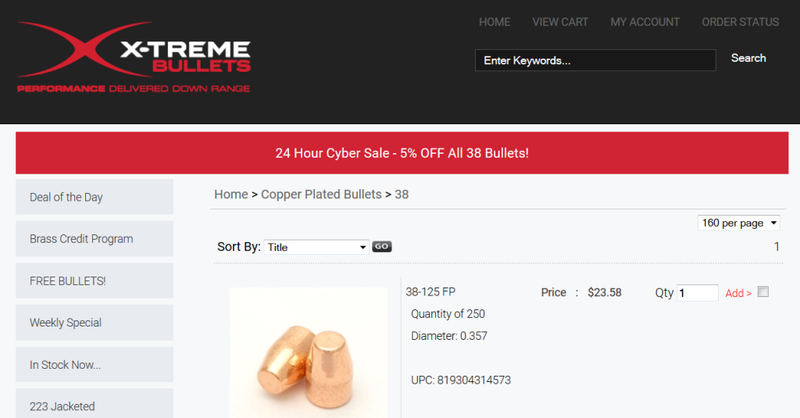 Xtreme lately has been running 5% off promotions for a different caliber almost each day. You should see your wanted caliber if you check the site everyday for 2 weeks. That promotion would bring 1,000 rounds of 124 gr 9mm to 8.01 cents each compared to Berry’s 9.345 cents. 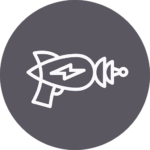 Other reasons include slightly shiner bullets, better boxes, and a less annoying site. Berry’s has shooting sounds when you first go to the homepage which can startle you. Also, at least for 9mm bullets, it’s hard to find the 2nd page, which led me to think they didn’t carry 147 gr bullets in the first place. They’ve since put up a warning though. We go with Xtreme for price and no glaring performance issues. There’s nothing wrong with Berry’s but when you’re buying thousands at a time, each little penny adds up. All we need to do is hit our A-zones and plates and Xtreme does that just fine. 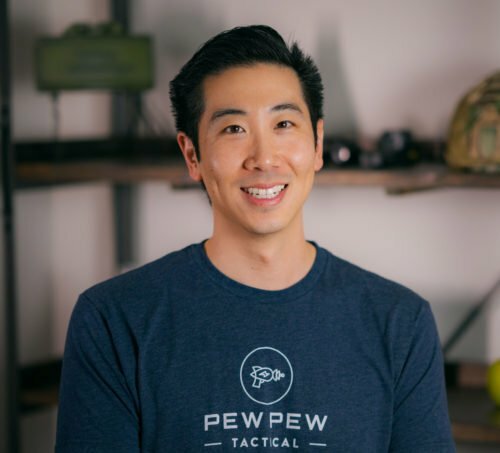 6,000 rounds and counting! Update Dec 2016: Even more for me to reload and shoot! Looking for primers/powders? Best Places to Buy Reloading Components. I’ve been a long time customer with Xtreme, but lately their customer service really is bad. I’ve had an order with them for two weeks now with no response! 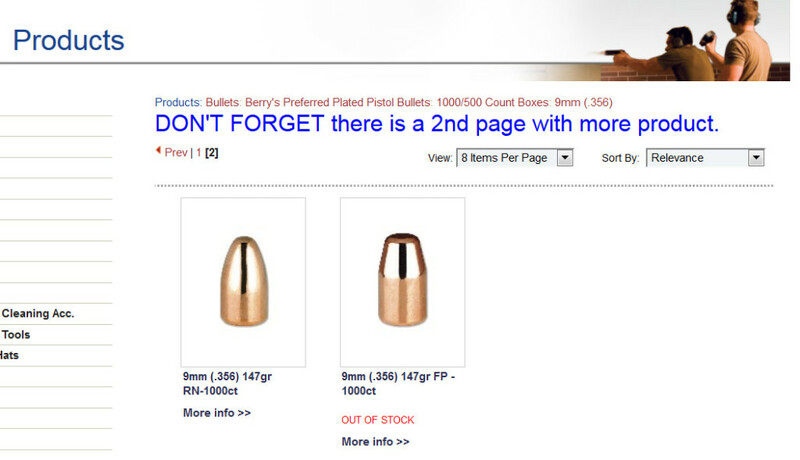 The bullets are in stock according to their site!! They used to be sooo good about filling and shipping my orders, till now!!! I’ve emailed them three times with only one response, to the first one of course! I’ve put a lot of my friends on to Xtreme for their reloading bullets and this is what I get in return, SAD!!! Xtreme and Freedom Munitions is owned by the same company and the parent company has filed for bankruptcy. I would assume that is why the customer service has gone down. I’m having a similar problem with Freedom Munitions. I’ve used thousands of X-Treme bullets. They load well and are accurate. My favorite for my Glock 34 & 17 9 mm is the 124 grain RNFP. I just got a box of Berry’s to try and find them to be oily, where the X-Treme are not. I’ll test them next weekend at the range. X-terme 124 grn. RN are my go to bullet , Yes you have to plan ahead , but taking advantage of free shipping when it’s offered saves a bunch. I use Rainier same deal if you find reduced or free shipping jump on it , they are equal to X-Treme in every way. I have not tried Rocky Mountain ,but sounds like a must check . Hey Doug, thanks for your input…I haven’t tried Rainier nor RMR yet. Doug, I’m sure by now you have tried Rocky Mountain Reloading. I had a bad experience with Xtreme bullets too and RMR went straight to my order and helped get it shipped quick. Great customer service. Hey Dominick, thanks for the rec! 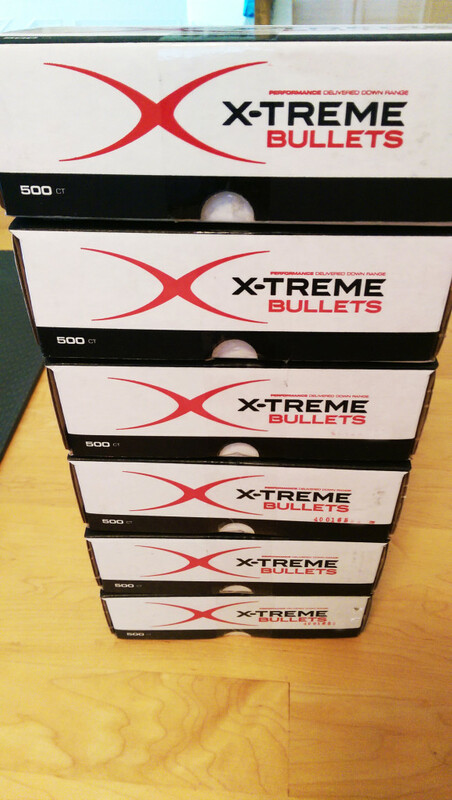 Not unusual for xtreme bullets to be back ordered a couple of weeks. If you need bullets NOW (talking to you milleniums) then don’t go with Xtreme. 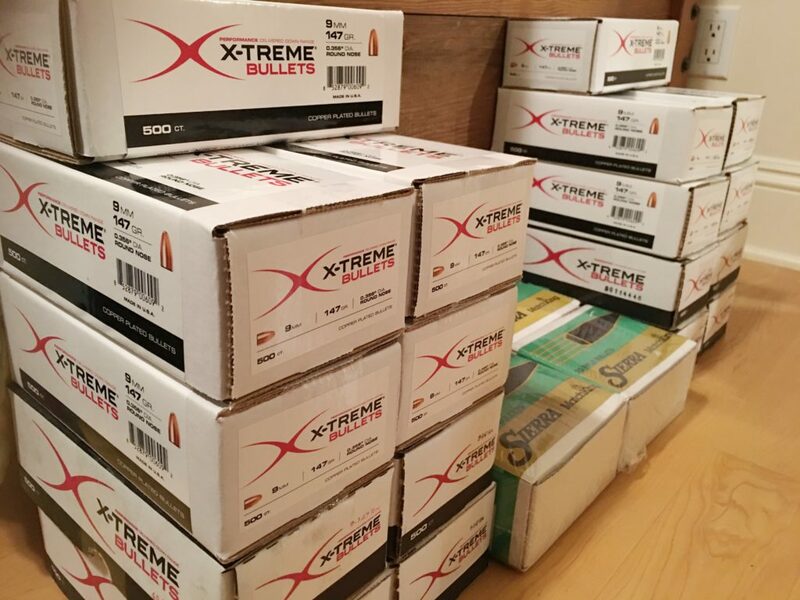 If you can build up a little bit of a stockpile and just add to it as you use your bullets, then you can’t beat Xtreme. Had a order of 4000 once that had one box of 500 busted along one side. I was missing 17 bullets from that one box. The sent me another box of 500 at no charge, just had to send them a picture of the busted box.